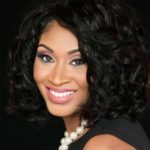 Dr.Nika White a thought leader in Diversity, Equity and Inclusion talks with me about race in South Carolina and her earliest memories of racism as an African-American woman. This is a very powerful discussion with real solutions. In order to have a meaningful conversation on race, across race, we need to be focused on cultural competence as opposed to being “politically correct.” The emphasis on “political correctness,” hampers openness, listening to each other and can be a barrier to conversations on race and other differences. There more kinds of privilege that need to be acknowledged and recognized. When privilege is not recognized, it can lead to bias, assumptions and biased behavior. At different times, different privileges are more prominent and have a more profound impact on people’s lives. The point of talking about privilege is not to create shame or guilt but to have greater clarity in the conversation on race and foster more inclusion. Privilege is about the cards we are dealt that give people an automatic advantage in certain situations. Once we recognize our areas of privilege we can use those privileges to ensure equity and inclusion for everyone. Diversity has a lot of layers beyond race; age, sexual orientation, socio-economics, etc. that need to be included in the conversation. For some people it’s easier if we begin by talking about the other dimensions and then talk about race. Everyone must be included. If we don’t address issues of privilege we will not be able to stop racism. White men can play a key role in change and creating opportunities for everyone else. There are great people of all backgrounds working in the diversity, equity and inclusion realm. It’s not just people of color doing it. Nika shares a story of being in a meeting when a white man tried to shut her down. Another white man spoke up in support of her. Don’t wait for people who are the targets of biased behavior to say something. Speak up right away. We all need to play a role in building equitable workplaces and communities. When people don’t see a problem when there is bias, they are perpetuating the problem.